CARE’s Lafaek educational magazines have introduced a culture of reading and learning to the lives of children and adults in Timor-Leste. In Timor-Leste, around two-thirds of the population live on less than $1.90 a day. People’s best chance of breaking the cycle of poverty is through education – but many children miss out. Conflict that started in the 1970s drove four out of five teachers from the country over two decades. The gap in the education system had to be filled with teachers with limited qualifications. This has encouraged learning by rote, making school far less enjoyable for children. Also, there were no teaching resources in the local Tetun language at all in 1999, putting children in rural areas at a great disadvantage. 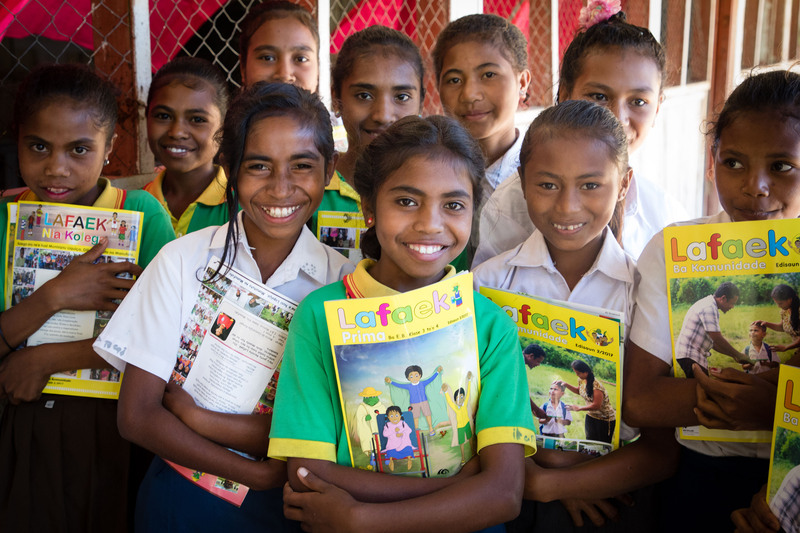 CARE has been producing and distributing Lafaek educational magazines to students since 1999, and they now go to every school in Timor-Leste. We are supporting the government’s targets to improve literacy, numeracy, critical thinking, healthy living and an environment to promote women’s leadership. 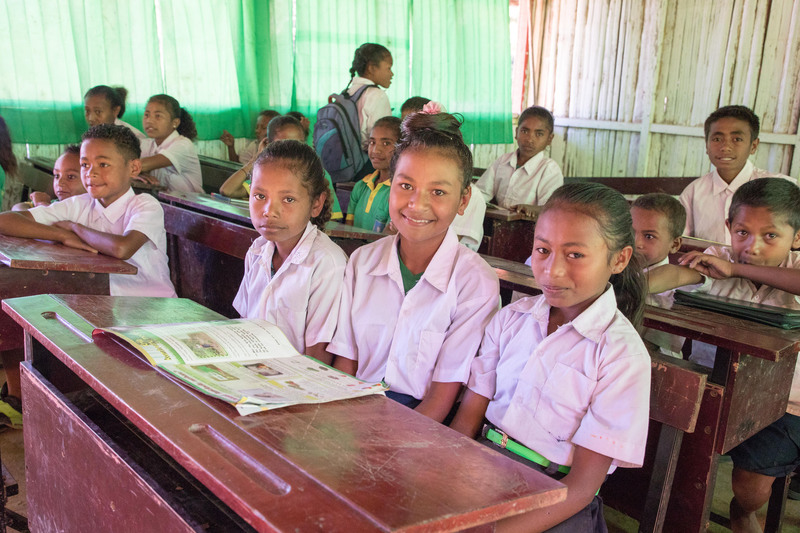 91% of children in Timor-Leste go to primary school but the resources and quality of education are inadequate. Lessons are taught in Tetun and Portuguese. 70% of Grade 1 students and 40% of Grade 2 students cannot read any words in either Tetun or Portuguese. CARE’s Lafaek educational magazine is printed 3 times a year and reaches over 120,000 students and 9,000 teachers. Lafaek means ‘crocodile’ in Tetun. 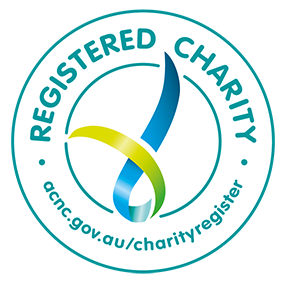 Major donors: This project has been made possible thanks to generous contributions and ongoing support from The Annie and John Paterson Foundation, The J Holden Family Foundation and the Australian Government through the Australian NGO Cooperation Program (ANCP). Major partner: Ministry of Education (Government of Timor-Leste). Major location: All of Timor-Leste (13 municipalities). The Lafaek educational magazines are produced with rich content written in Tetun by Timorese writers. Partnering with the Government of Timor-Leste, we publish and distribute four bi-monthly school magazines covering grades 1 to 9, and an additional magazine for teachers.The enjoyable and engaging educational magazines have revolutionised the way young people and adults learn, and instilled a habit of reading throughout families and the community. The magazine content not only enables students to read stories for the first time, but also helps preserve the rich oral tradition of Timorese storytellers.The Lafaek magazines are used in the classroom by teachers as a learning material, and as a way to engage parents in their children’s education. We distribute the magazine to each child individually to take home. This encourages families to read together and creates an environment where parents can support children’s learning for the first time. We want to improve the learning outcomes (numeracy, reading and comprehension skills) for students of primary grades. We want students to learn through high quality, inclusive and relevant materials. We want students to remain interested in learning at school and at home. We want more children staying in school and less dropping out. We want students to have higher aspirations for their futures. We want girls to grow stronger in their decision-making and leadership potential. More than 80,000 Grade 3 and 4 students in 1,144 schools have received Lafaek educational magazines. The magazine has multiple editions with customised content that interlinks and builds upon previous editions. The magazine has been lauded independently as an example of a best practice project in terms of relevance, quality, local partnerships and community involvement. Strong female characters mean children are learning about different roles of women in society outside traditional roles. Characters with disabilities are included to help stop discrimination. More and more Timorese families are reading together – parents and caregivers can now give better support to their children’s learning and well-being at home and in school.